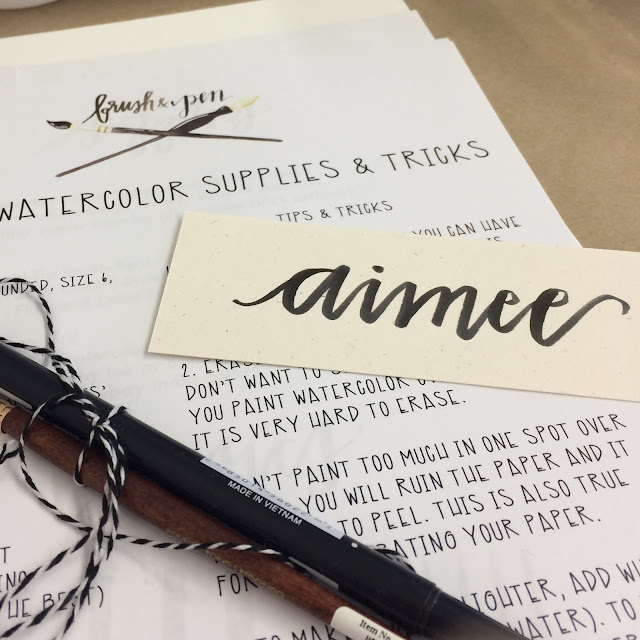 On Sunday I went to my first Brush and Pen workshop. I had some Christmas money burning a hole in my pocket, so I decided to put the money toward learning a new skill. 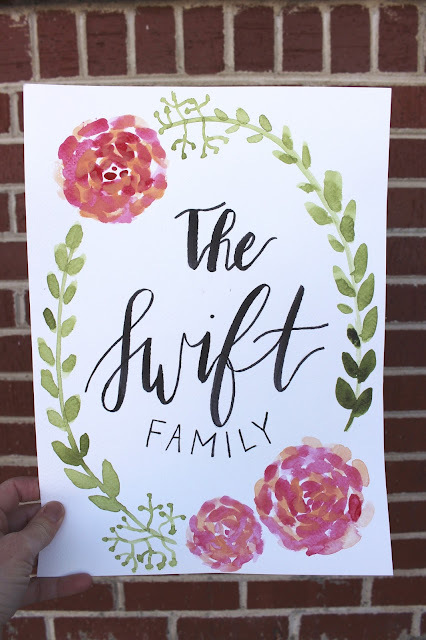 The class taught a few basics of watercoloring (something I already love) and calligraphy (something I always admired but never really knew how to do). The ladies that taught the class (Alex of Prairie Letter Shop and Brittany) were super sweet and shared their beautiful talent in a way that was so fun to explore. 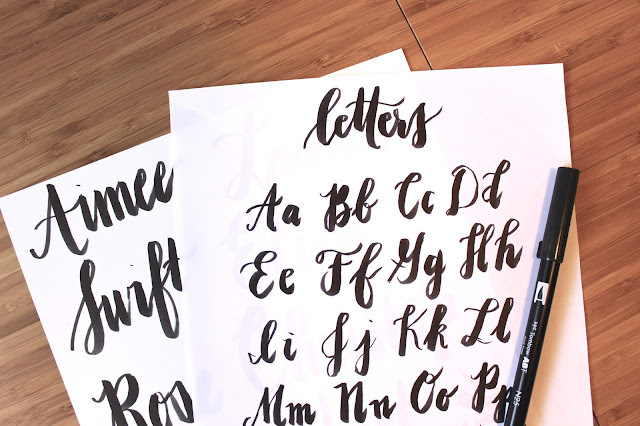 My goal with attending the class was to learn a new skill with the calligraphy. For now I am focusing on practicing, but in the future I'd love to put some of it to work in my shop. If you have a chance to attend one of their workshops, I highly recommend it. I know what I will be asking for for my birthday (HINT, HINT Mr. Christopher!). Who's joining me? ?